Aeroprobe is a producer of air data and flow measurement systems and instruments that provide real-time air and flow data. Our extensive product line is used in a wide range of industries and applications where precision and efficiency are key. 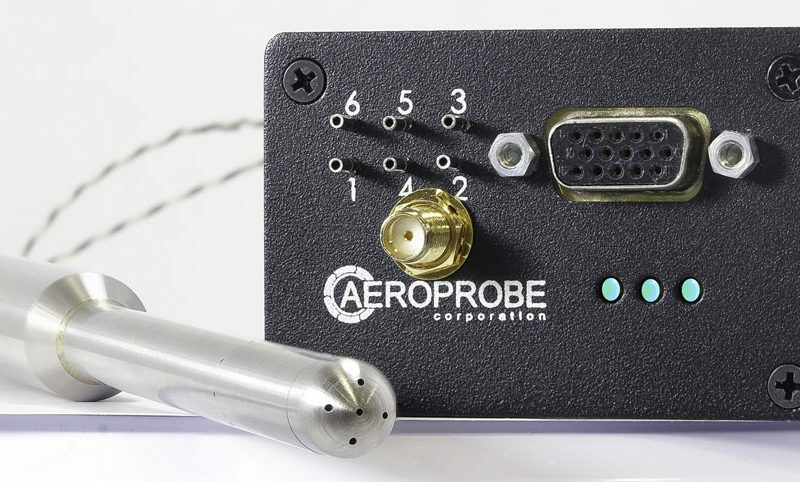 Aeroprobe is a leading producer of air data and flow measurement systems to aerospace, automotive, turbomachinery, wind turbine, and wind tunnel testing industries around the world. We engineer complete systems for collecting highly accurate pressure and velocity data in complex specialized environments. Our product line includes air data probes, data analysis software, Micro Air Data Computers (uADCs), and a range of accessories, including a Micro Purge System (uPS), to further enhance our products. Additionally, we offer calibration and recalibration services to ensure the highest possible accuracy from our line of probes.